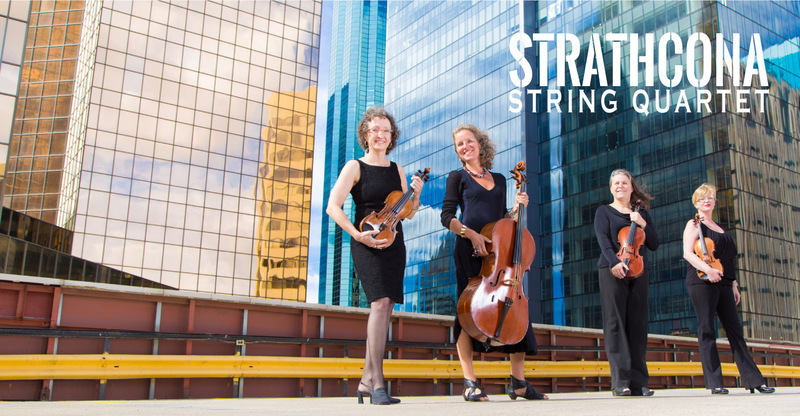 The Strathcona String Quartet is Edmonton’s most outstanding and versatile professional chamber ensemble, performing together SINCE 1987. They have released two highly praised CDs which are frequently heard on radio stations across North America including CBC radio and Edmonton’s own CKUA and CJSR. The Strathcona String Quartet is well known for their numerous world premiere performances of many works for string quartet by local and international composers. They perform much of the Classical and Romantic repertoire. In addition, they perform historically informed early music on period instruments.